As I made my way down the east coast of the country, I decided to stop in a few places in Andhra Pradesh along the way, which gave me quite a “real” Indian experience. 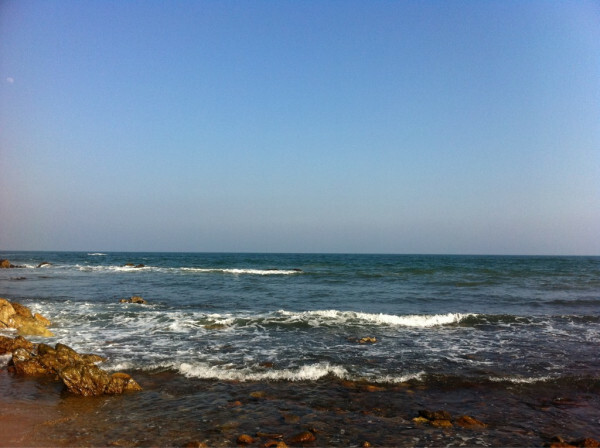 First stop was Visakhapatnam, otherwise known as Vizag. This is a beachside city that is touted as the best beach on the East coast. Given my love of the sea I couldn’t wait to go there and spend sometime by the seaside. The drive from the city to Rushikonda Beach was beautiful, green rolling hills leading to jagged cliffs and glimpses of long stretches of sand and the brilliant blue of the Bay of Bengal. I was excited! My first wander to the beach was filled with anticipation, only to be disappointed. Perhaps I have been spoilt by the pristine Australian beaches, but this beach certainly had the opportunity to compete with those, the view was beautiful. 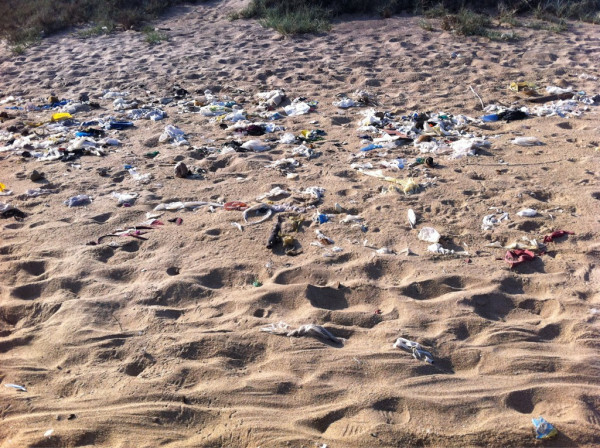 Wide white stretches of sand and a stunning bay, it was just covered in rubbish… literally. So a leisurely stroll on the beach turned into an exercise in avoiding the plastic. It was so disappointing and disturbing. This plastic not only pollutes the beach, but also enters the bay, and most likely chokes sea life and damages their environment. The local Indian tourists didn’t look remotely disturbed by the rubbish on their beach as they enjoyed playing cricket and bathing in the sea. Do they not see it or does it just not bother them? I am not sure, but for me I just can’t understand how they can enjoy this and see at as a place of beauty as they continue to pollute it. Am I bringing my western eyes and judging? Yes I am, and I make no apologies for it. Where is the pride in this culture of pollution? What joy is there in bathing amongst floating plastic bottles and paper? How much fun is it to play beach cricket and have trouble seeing the ball and wickets amongst the rubbish? I am pretty sure I will never understand this or fail to see it. I did walk further away from the main resort are and found that to be relatively cleaner, but after about 15 minutes of walking I was approached by a policeman who asked me to turn around and go back to my resort. When I questioned him, he advised that women were attacked, mugged and molested here and it was not safe for me to be there. So I turned away from the cleaner beach and walked back into the garbage because that was at least safer for me. All in all a rather sad situation all around for Vizag and the “best” beach on the east coast of India. I then headed to the small town of Vijayawada which was quiet and certainly not on the tourist trail. Upon arriving I discovered I should have booked a hotel in advance, there were three weddings in town and everywhere was booked. This just meant I had to upgrade my accommodation a bit which was a nice treat for a weary backpacker. After putting my bags down I went for a walk to find some lunch. As I walked I glanced across the busy road only to see a woman passed out in the middle of the road, and the traffic just continuing along its way bypassing her as it moved. No one made any attempt to move her from the road and no one seemed remotely disturbed or concerned for her safety. I felt so useless, the traffic was moving fast and I didn’t feel comfortable that I could help her without also being hurt. I didn’t know the language and no one around seemed remotely interested in conversing or getting involved. I really did not know what to do. I have not seen such apathy for another human life by the people around and I don’t know if this is normal here or was just a once off incident. Are some people effectively invisible to the general population, based on wealth or position? Does human life have less value? I would like to believe not, but I just couldn’t find a way to explain what I was seeing. I feel like I was just as bad as everyone because I also walked away rather than risk hurting myself. It was such a strange scene, I don’t know what I should have done, or what I could have done. I went back later and am happy to report that the lady was no longer lying on the road and there was no sign of trauma, so I assume that she was finally assisted to safety. I hope so, I still wonder about her and feel bad for not doing anything to help her. These two incidents got me thinking a lot about my decision to move to India. Would I change and eventually not see the rubbish or some of the people? Would I also become invisible? Would my values change over time for better or worse? I have no doubt that I will change, but I now fear a bit that things I value now will change, and possibly not for the best. I understand, I had felt the same . I am sad, that we did not teach our children the respect for cleanliness, and the respect for other human beings. We call ourselves, the cultural bed of civilisation.We talk of heritage at the drop of the hat! It is a shock even to us locals! I hope India finds a way to respect its monuments and environment before they disappear. Raks, this is at times a challenging journey that you are travelling. I am also very disturbed by the garbage and pollution of indian beaches…except andaman islands..where it is diffcult to reach and there is strict environmental control…most of the beaches one goes to have a lot of garbage..especially in the south..i just hated marina beach in chennai..it was a huge garbage dump…..